Home » Archive » Topics » Facility Management » Johns Hopkins Master Plan…impressive! 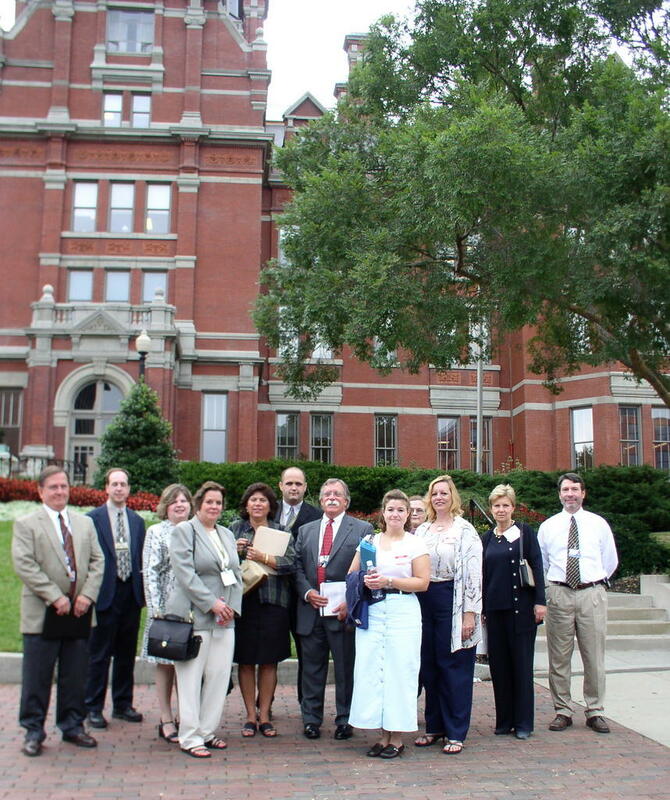 Members of the TFM staff are just back from a visit to Baltimore, where we took a group of professionals (pictured, left) on a tour of the massive Johns Hopkins Hospital campus. In the midst of a 10 year master plan, the campus has gone through massive renovations, including a complex effort to restore the hospital’s three original buildings, dating back from 1898. 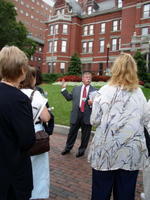 Howard Reel, senior director of facilities design and construction for the hospital (pictured in center of photos), headed up the tour and explained the workings behind the prestigious hospital’s overhaul. The exterior restoration of the three buildings cost $7.5 million and took 15 months to complete, and that’s just a small portion of the overall master plan. It was the first such restoration of its kind for the stately exteriors. As for the rest of the plan, Reel projects a completion date of 2012.